First and only a pretty module with Sold Items Bar Effect and the countdown of reduction time all in one. Boost your sales with this very practical module and create deals on your site, that allows to display the number of product items sold with a smooth skin and the countdown of reduction time. Use SOO Countdown Discounts to build your own Group buying look-like store easier!!! 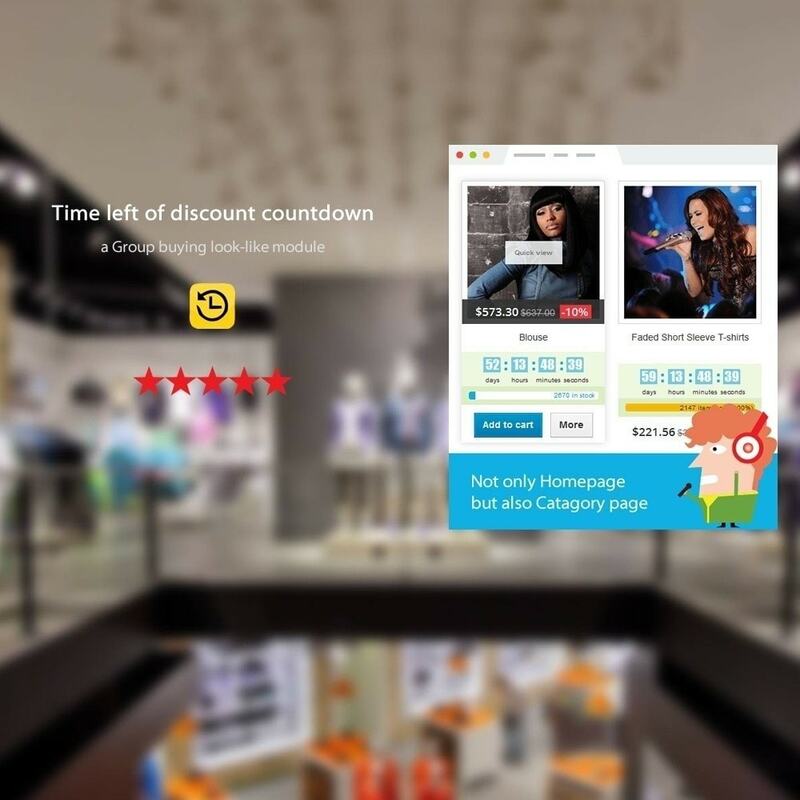 SOO Countdown Discounts – one module whose function is counting down the promotional period accompanied by a bar displaying the amount of sold products. 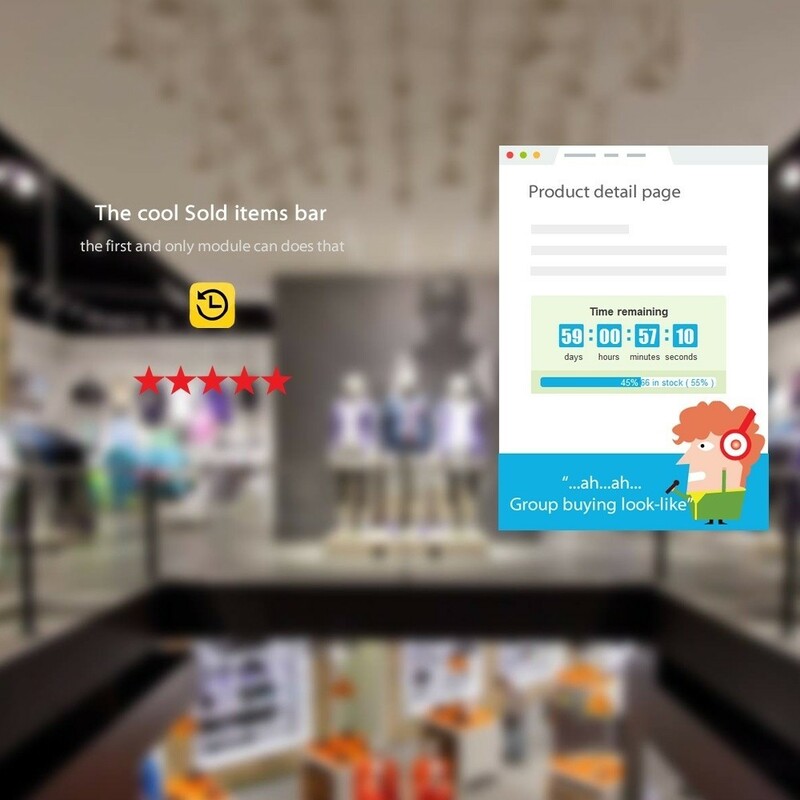 You can easily bring the promotional information to introduce to customers on product detail page, promt customers to buy your products, and creat an beautiful and delicate effect for your website. 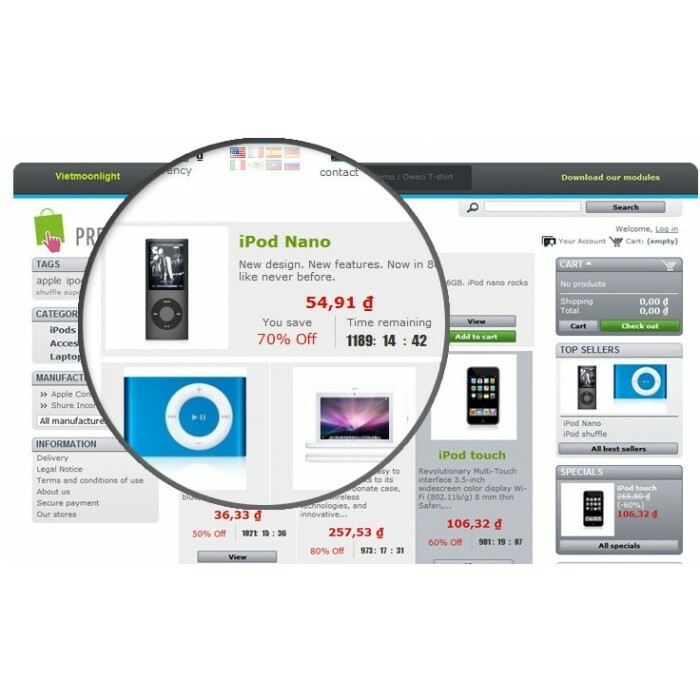 Easy to find and impressed by seller's Promotion. 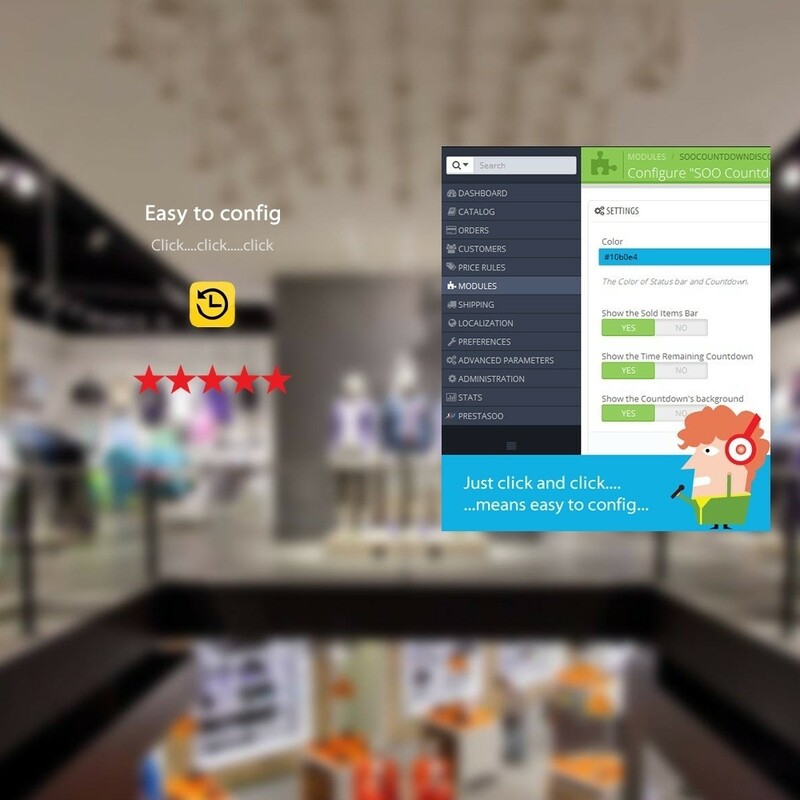 The Winner of Navigation module for Prestashop Awards 2016 : User-friendly, highly customizable, responsive Mega Menu module - your site looks great on Laptop / desktop and as a native app on mobile / tablet. Turn Your Customers Into Subscribers The best Plug-and-Play Subscription Management module to empowers businesses to launch subscription models and manage the entire lifecycle of their subscribers. Solutions for boosting your sales - SOO Cart Expiration helps you make sure your customers will finish the purchase by set the expiration time for carts.